Alex Edwards is a full-time freelance writer and web marketer. She left the tech startup world to kick it with her laptop and sweatpants at home, doing great work for radical organizations that align with her values. Edwards loves conceptualizing new ways to think of and do work that is accessible, sustainable, and affirms everyone’s humanity. She also 100% sets her own schedule and is planning on traveling around Europe in 2018 while working online. 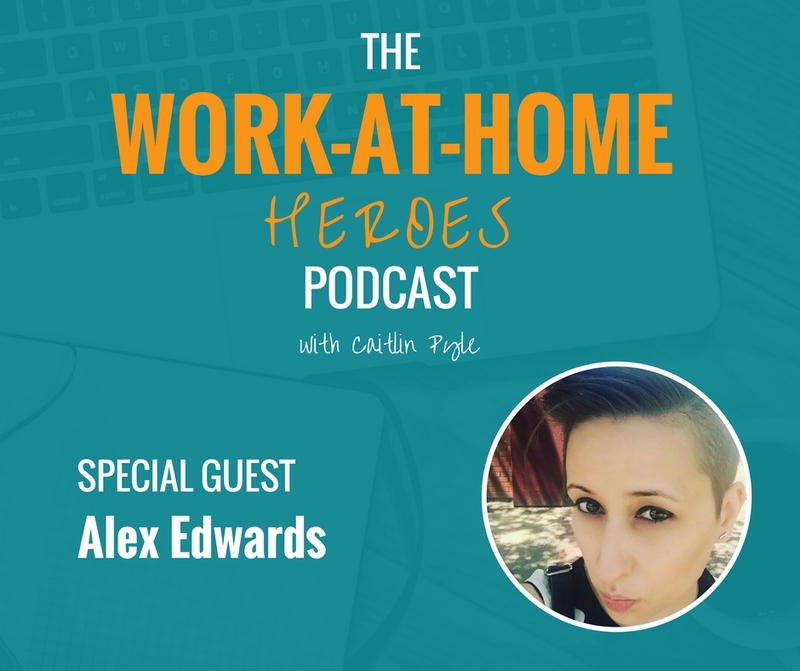 Read the transcript of The Work-at-Home Heroes podcast Episode 5 here. To visit Alex Edwards’ website, click here! Got a question for Alex about this episode? Head over to the Work-At-Home Heroes Facebook page and ask on this dedicated thread! Next Building beautiful, elegant, functional websites for a mix of clients all from home! Event planner turned blogger turned Pinterest account manager and content creator! Niching down to commercial real estate social media marketing all in your pajamas!